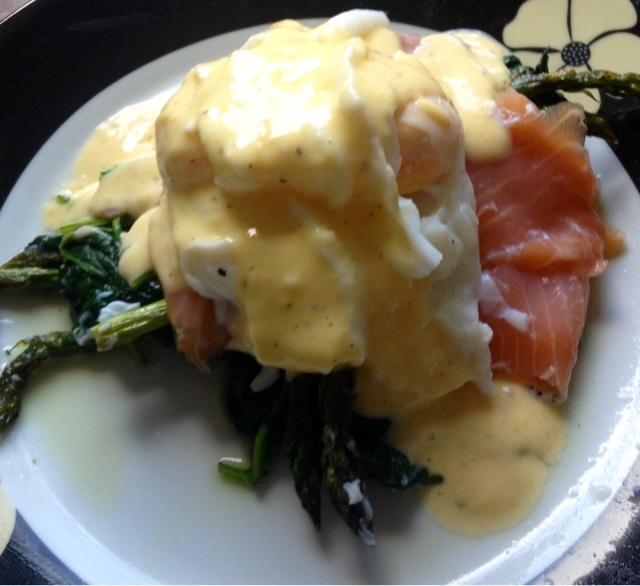 Annie's Appetite: Breadless Benedict with Smoked Salmon and 1 Egg Hollandaise. Breadless Benedict with Smoked Salmon and 1 Egg Hollandaise. Ah Eggs Benedict - one of my favourite things to eat in the whole word and also one of the dishes I have been most frequently disappointed with in restaurants over the years. Like so many of the best things in life, it is this dish's simplicity which makes it so perfect, the double creamy hit of the runny egg yolks and the hollandaise together with the salty pieces of ham or smoked salmon, all piled up on something to mop it all up (traditionally English Muffins or in this case wilted spinach) but God, I've had some horrors with rubbery hard egg yolks, bland sauces and rubbish quality ingredients all too commonly served up. And considering Benedicts usually cost about 12 quid a pop and given that they contain relatively inexpensive ingredients, you really should expect to be right. Despite this, I keep ordering it because when it's good, it's so very very good. Since I started eating properly, I have been getting regular cravings for different foods which I didn't really before (with the exception of sweets and rubbish). I'm not sure if that has something to do with my body getting accustomed to being properly fed and in turn really missing something that's not there or not. In any case, all last week it was canned tuna and last night it was smoked salmon.And I had some in the fridge. Whoop. I have tried to make hollandaise in a blender before with just mediocre results. In theory it seems like it would be foolproof/ much easier but in practice it didn't thicken nearly as much as I'd like. Last night, I made this one the old school way, using a recent tip I picked up of using a sieve to keep the base of the bowl separate from the water. It worked very well. This isn't particularly tricky to make but it does involve the juggling of a few different elements simultaneously. 1) Having given the asparagus a 5 minute head start in a preheated oven, set up your double boiler for your sauce and a wide pan for your eggs, bringing some water in both to a slow simmer. 2) Slowly melt the butter for the spinach in another pan, adding it gradually until all cooked down (about 3-5 minutes only) Season well. 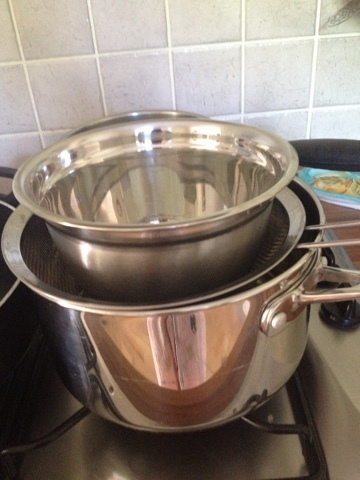 3) Whisk the egg yolk with the tbs of hot water and set over the sieve if using. You will have to whisk it almost constantly now for the next 5 minutes. 4) After about 3 minutes or so, add vinegar to egg poaching water and then the eggs. 5) When the egg yolk/ hot water mix has thickened to a point that it coats the back of a spoon, gradually add the butter and continue to whisk. At this point I was taking it on and off the heat like a mad woman but we got there in the end.Add lemon juice, cayenne, salt and black pepper to taste. 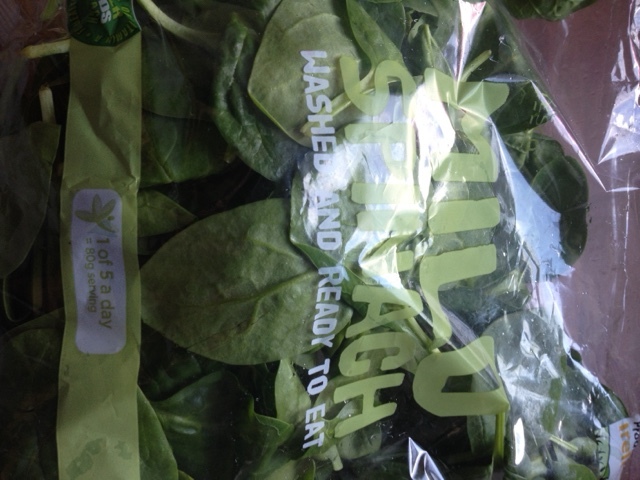 6) Drain as much water as possible out of the spinach (I tried my best but you can see that some remained...next time I think I'll wring it out in kitchen towel! 7) Pile it up high, feel smug that your hollandaise worked and enjoy. Who needs bread? !